Quick captains, it's time to jump into your favorite shuttle and get to the frontlines! 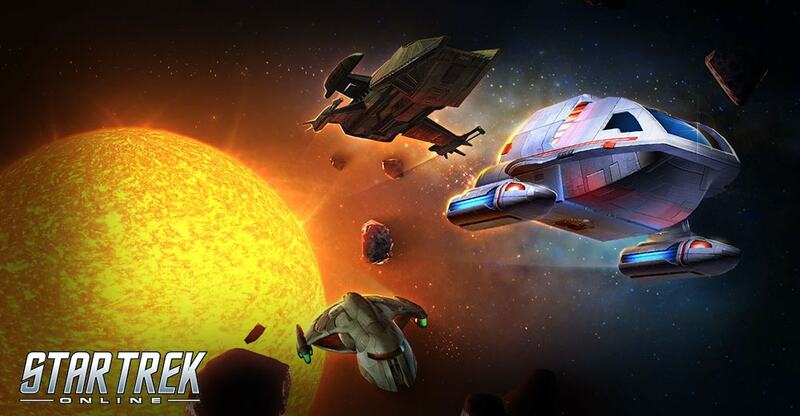 For a limited time only, we're hosting the Shuttle Weekend Event. From Thursday September 20th at 8AM PDT til Monday, September 24th at 10AM PDT, swarm your enemies in these small craft! During the Shuttle Weekend Event, we have transformed a few of our starship queued events into brand new shuttle events that offers marks for any reputation! Federation and Klingon Fleet Alert, and Storming The Spire will now feature twenty player queues to try and take down some familiar enemies. While the original missions will still be available this weekend, the shuttle queued events will feature twice as many Marks for completion! These special queues are based off of normal difficulty. Learn more about some of the missions you'll be flying this weekend! The Elachi have sent an attack fleet to the Romulan colony of Rhi. While ground forces hold off any Elachi troops, we need you to intercept Elachi walkers. Answer their distress calls and fly your shuttle to destroy the Elachi walkers on their way to destroy the capital city. We need your help as soon as possible! Please Note: Atmosphere Assault has been updated to offer a choice of all marks for our shuttle weekend event. Captains! The Voth have sent a small fleet to try and capture one of the Spires. Our orders are to stop them and try to capture it for ourselves. It won’t be safe to send in ground forces until we can repel the Voth’s initial assault. Then we can start transporting boarding parties to the spire. Control of the Vault has once again fallen into the hands of the Romulans. Obisek, leader of the Reman Resistance, is sending his ships to draw off the bulk of the Romulan fleet. While the Remans battle in space, Obisek will lead a small force in shuttles to infiltrate the Vault and reclaim the station for his people. Please Note: Vault Shuttle Event has been updated to offer a choice of all marks for our shuttle weekend event. Long range sensors show a hostile fleet approaching one of our starbases. Report there immediately and take up arms against the enemy! We have multiple waves of enemies warping into the system and need your help to hold them back!